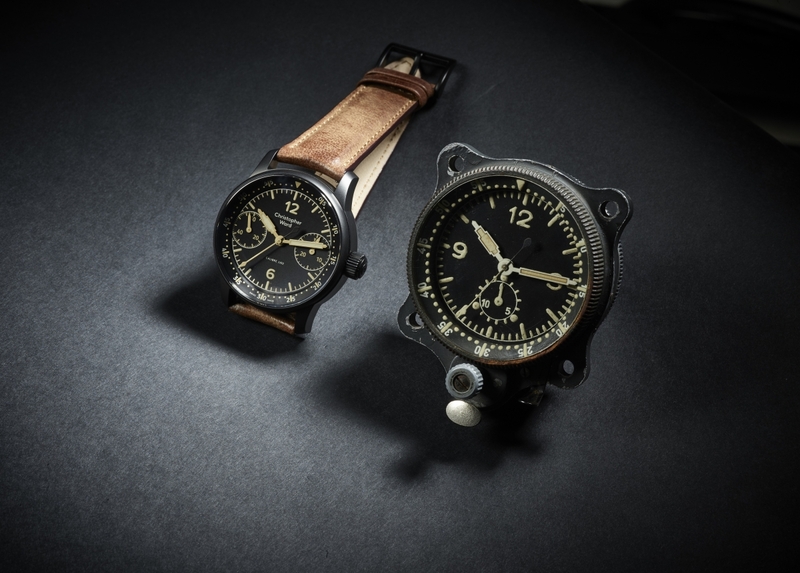 Ludicrously expensive timepieces aside, the latest affordable offering from Christopher Ward plays on the former two points, taking inspiration from a vintage Junghans clock, which was found in the cockpit of the Messerschmitt Bf 109 fighter plane (commonly referred to as Me 109) during WW II. 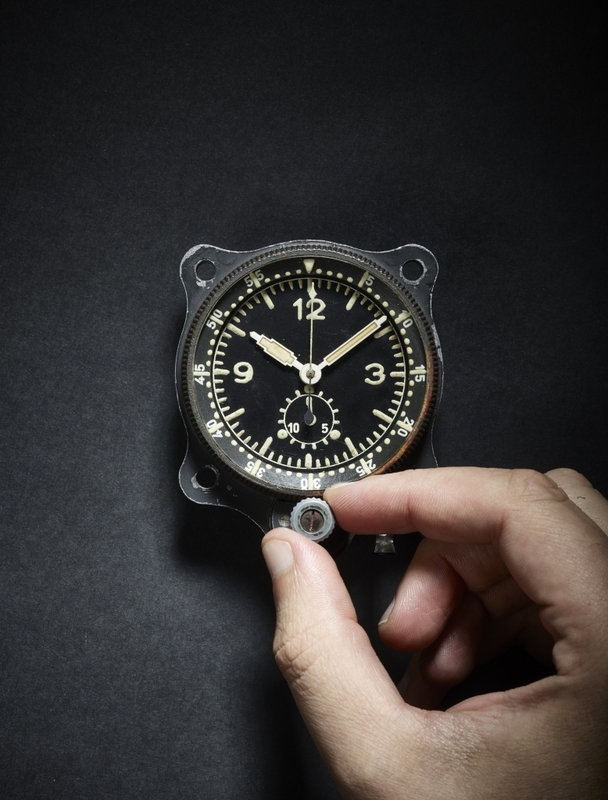 According to Mike France, Co-Founder of Christopher Ward, he encountered the clock during a chance meeting at White Waltham airfield and he subsequently failed to shake the striking design from his mind. “When I saw the vintage Junghans clock it was obvious that a watch had to be created based on the clock and using our own Calibre JJ02 movement,” explains France. The balance bridge, chronograph bridge and chronograph module of the new C9 Me 109 Single Pusher Chronograph have all been finished in a black PVD coating with polished chamfered edges that can be viewed through the sapphire crystal glass of the back-plate. 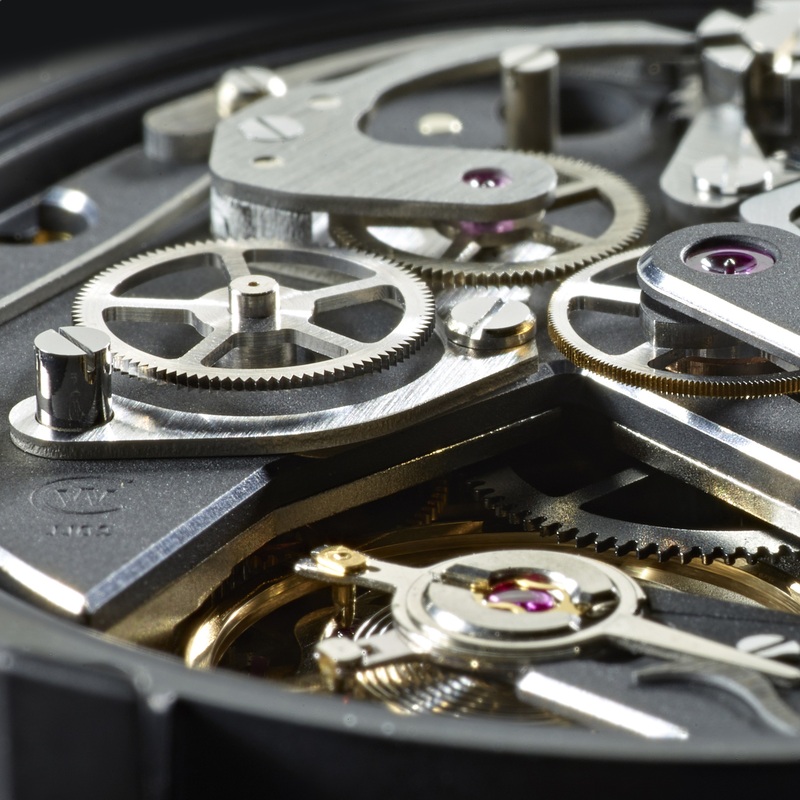 Although designed in London, the Calibre JJ02 movement is Swiss made and boasts a 40-hour power reserve, as well as a beautifully complex finish that’s assembled by hand at Christopher Ward’s Swiss atelier. Just 100 C9 Me 109 Single Pusher Chronograph will be made, each costing £2,950, with the option of a unique, engraved serial number that can be reserved by emailing the team.